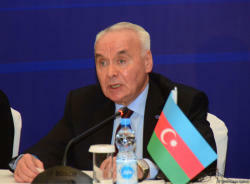 The 39th meeting of the Council of Foreign Ministers of the Organization of the Black Sea Economic Cooperation (BSEC) was held in Baku under the chairmanship of Azerbaijan, Trend's correspondent reported from the event. 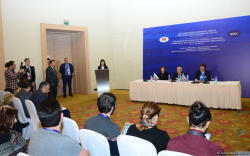 At the opening ceremony, Azerbaijani Foreign Minister Elmar Mammadyarov expressed gratitude to the participants for accepting the invitation and arriving in Azerbaijan, and announced the agenda. 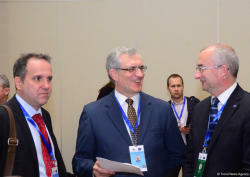 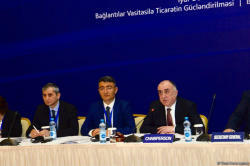 "Among the main topics at the meeting, which is being held under the motto 'Boosting Trade through Connectivity', are increasing the efficiency of the organization’s work, trade facilitation, promotion of cooperation in such areas as energy, transit, ICT, tourism, agriculture and other important topics," Mammadyarov said. 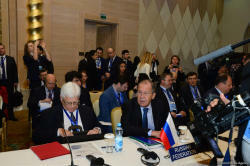 At the same time, Russian Foreign Minister Sergey Lavrov called on BSEC partners to follow Moscow’s example and transfer funds to a budget of mechanism for developing cooperation within the Organization. 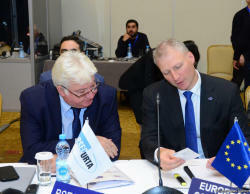 A mechanism on development of cooperation within the Organization has been created upon Russia’s initiative, to the budget of which Russia contributed $1 million, he said. 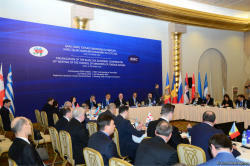 Delegations headed by senior officials of the BSEC member states took part in the meeting. 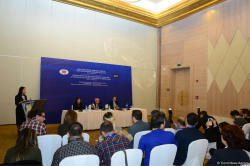 Following the meeting, a press conference was held with participation of Azerbaijani Deputy Foreign Minister Mahmud Mammadguliyev, BSEC Secretary General Michael Christides and Bulgarian Deputy Foreign Minister Emilia Kraleva. 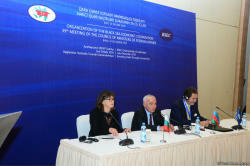 Speaking at the press conference, Mammadguliyev stressed that during Azerbaijan’s chairmanship in BSEC, connectivity within the Organization was strengthened. 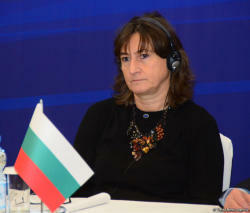 In turn, Kraleva said that Bulgaria, which will chair BSEC from January 2019, will continue Azerbaijan’s work in the Organization. 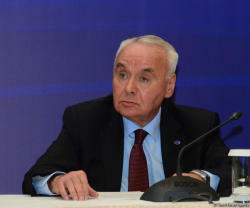 The interconnectedness, which is the priority of Azerbaijan’s chairmanship, is very important, Kraleva added. 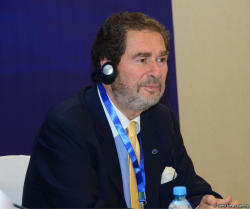 In turn, Christides stressed that the main task of the Organization is to promote economic development between the participating countries. 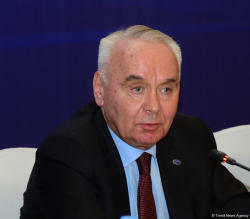 It is important for the Organization to meet the current challenges, he said. 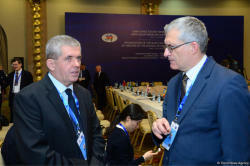 Christides thanked once again Azerbaijan for chairmanship. 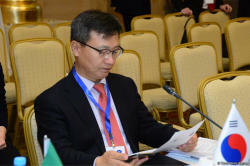 During these six months a lot of issues were discussed and a number of important decisions were made, he said. 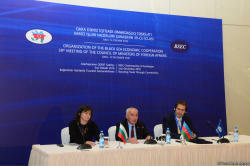 After Azerbaijan, the chairmanship will be transferred to Bulgaria. 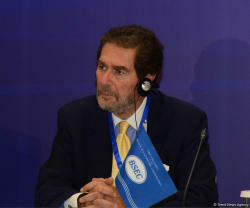 The Organization of the Black Sea Economic Cooperation is an intergovernmental organization uniting 12 countries of the Black Sea and southern Balkans. 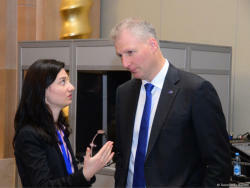 The organization was founded in 1992. 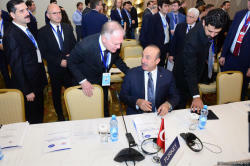 The headquarters of the organization is located in Istanbul. Azerbaijan assumed the BSEC chairmanship at the 38th meeting of the Organization's Council of Foreign Ministers, which took place on June 27.